To be lucky in love is to be lucky in life. Introducing La Fleur by Charriol, a line of fine jewellery featuring a very special charm designed exclusively for the season of love. Our newest charm starts with the iconic Charriol “C”, turned on its side to emphasize the distinctive ogee curve, transformed into a shapely petal and recast four times. 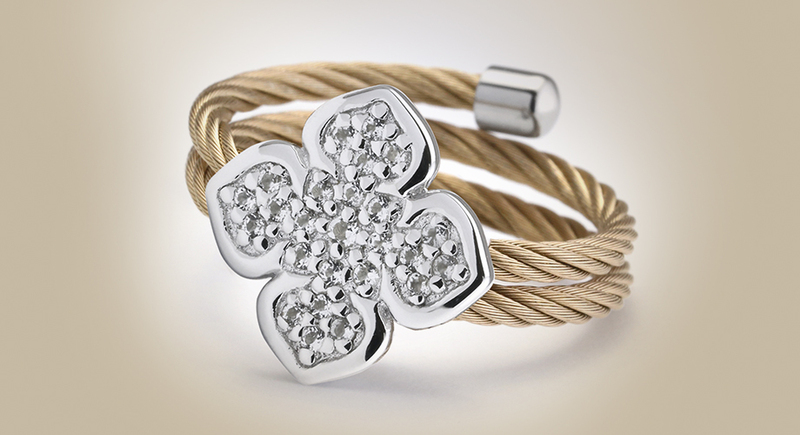 “La Fleur” becomes the four-leaf clover of Charriol, a symbol to tell the world that you are indeed lucky in love. 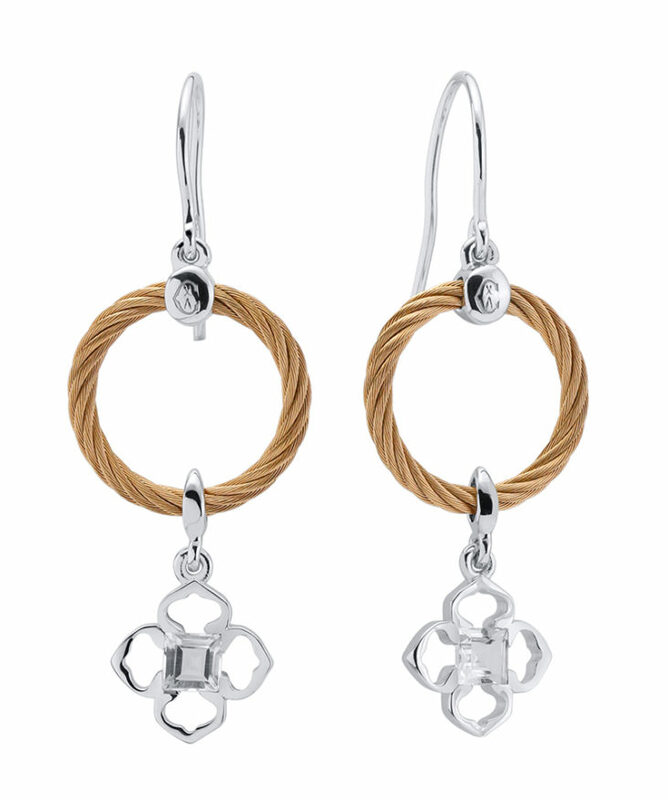 The new pieces incorporate Charriol’s signature twisted cable motif in both stainless steel and gold. 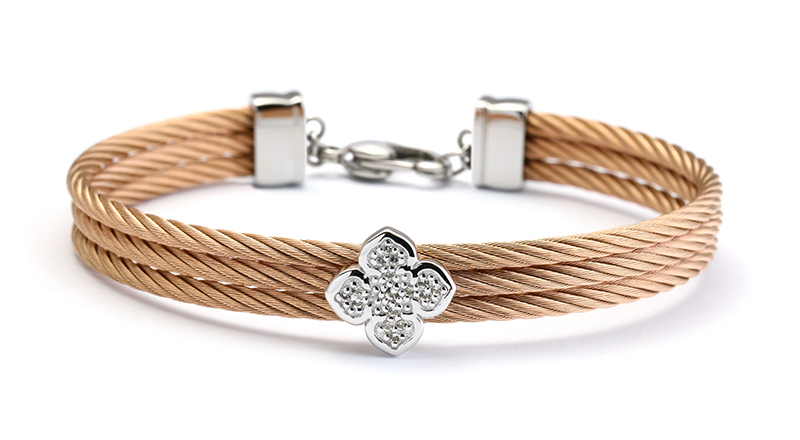 Moreover, the “La Fleur” charm presented in two variations: an outlined shape showing off the flower’s curves, and a solid version filled in with a touch of pavé. 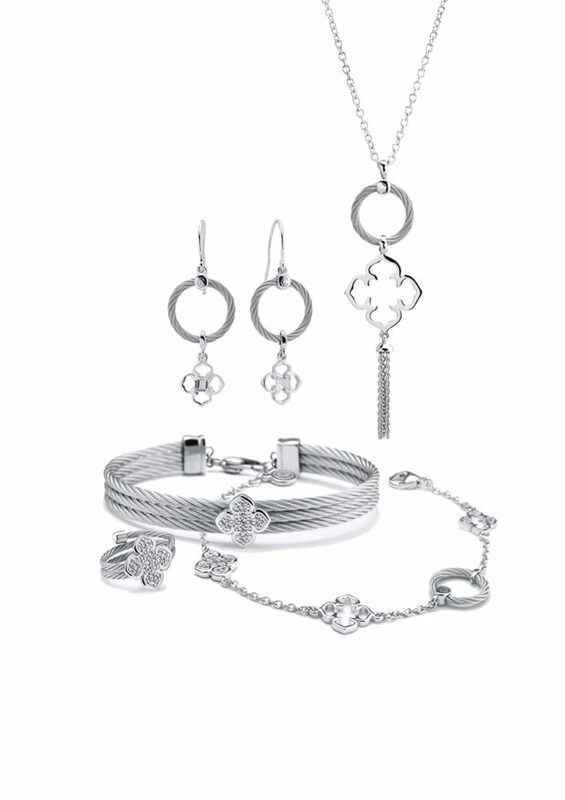 The mix of materials and motifs creates a pleasing balance of classic and eclectic, a charming presentation perfect for everyday wear. If luck is a lady, may she bring you true love. 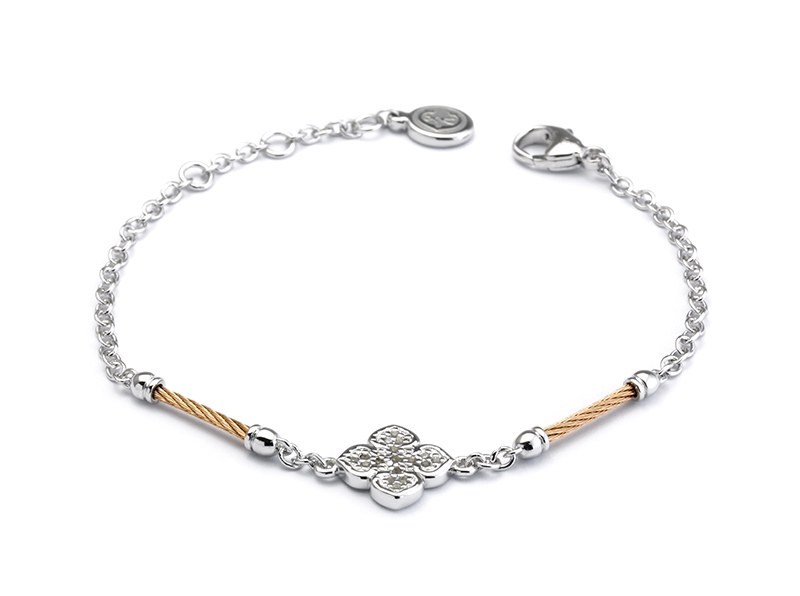 And when you find your lady, give her La Fleur by Charriol, a special keepsake to celebrate the greatest gift all, a symbol of true love.